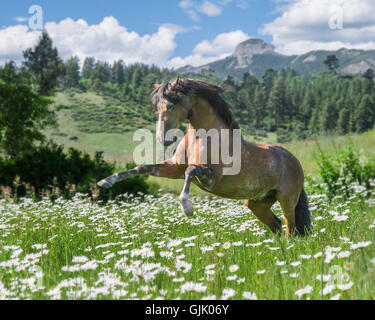 Andalusian horse stallion rears up in wildflower meadow. 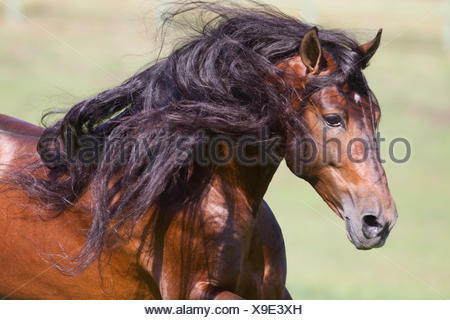 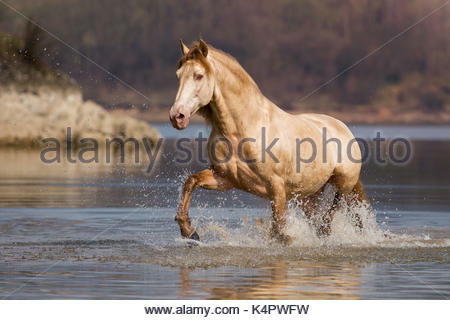 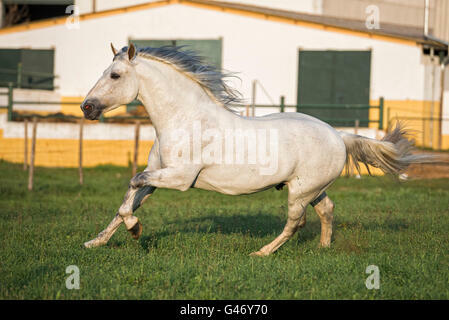 Bay Andalusian stallion running. 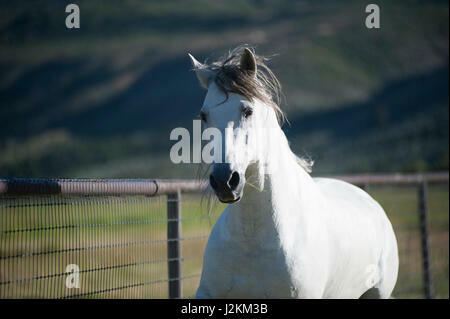 Ojai, California, USA. 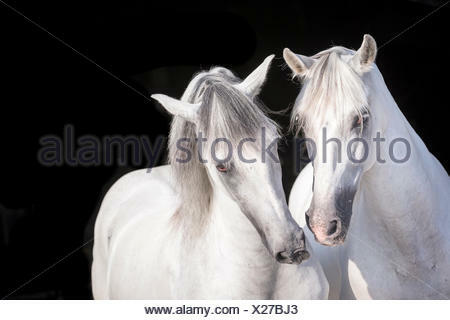 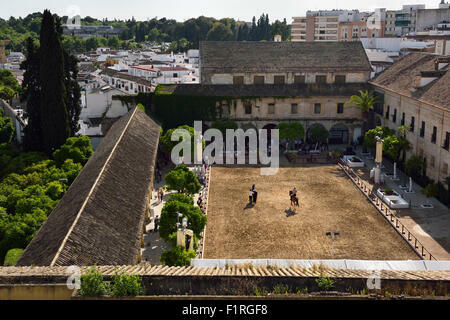 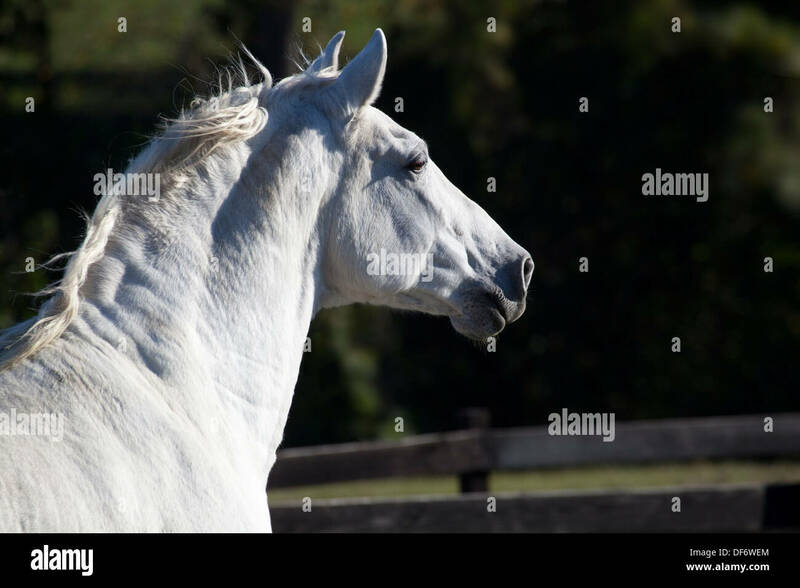 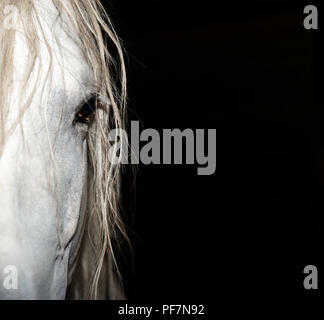 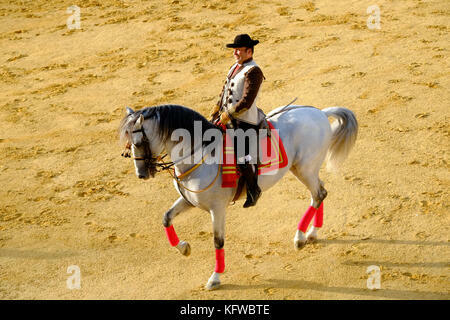 Andalusian Horse (Equus ferus caballus). 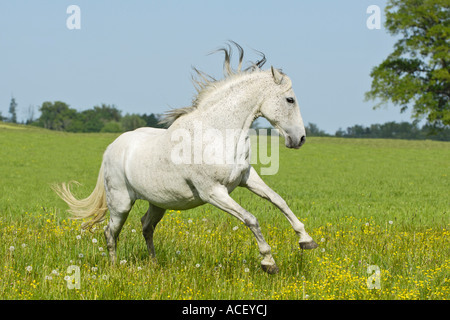 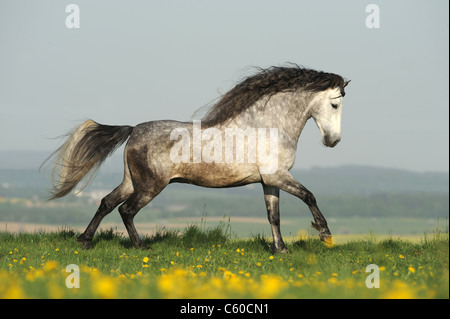 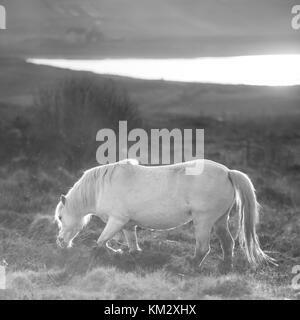 Dapple-gray stallion in a gallop on a meadow.